Women on pregnancy apps will argue for days about how skincare creams are worthless. Stretch marks are genetic they say. They say that whether you lube up or not the marks are inevitable. I think it’s like saying that going to the gym is worthless. You may not end up looking ready for a cover of Shape magazine but you go and be healthy and get results that you’ll be happier with than if you didn’t go at all. I only got one minor stretch mark on my belly when I was pregnant with my first. That mark was attached to my appendicitis scar and I always wondered if that’s why I got it in the first place. My brother Jeremy believed that itching or scratching caused stretch marks. Every time he saw me rubbing my belly he would throw me the cocoa butter. That was 17 years ago but it worked and I’m sticking to it again this time. Before you get too jealous, I’ll clarify that I do have some stretch marks…just not on my stomach. 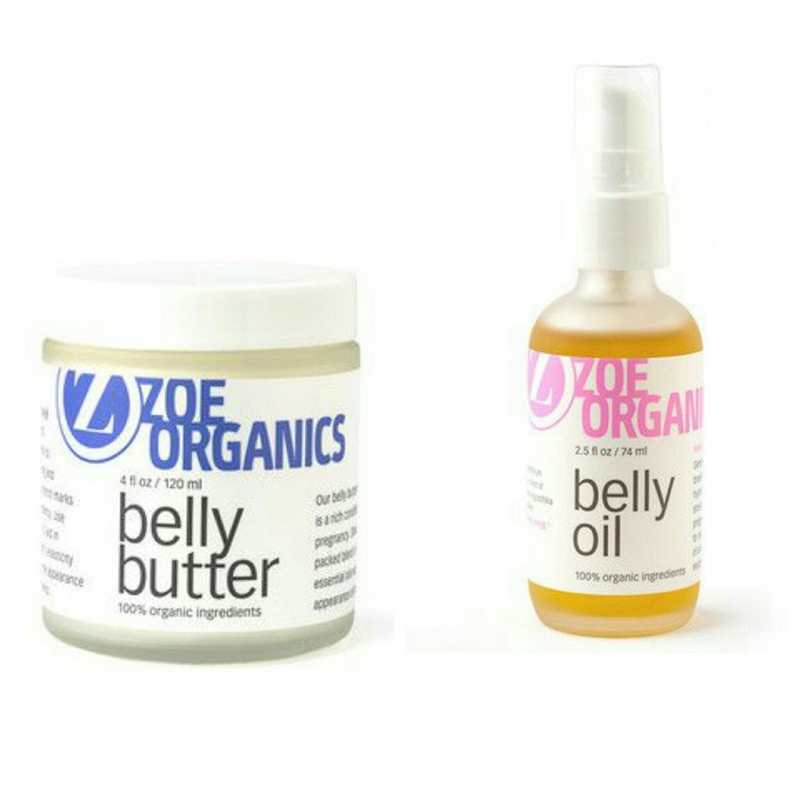 Zoe’s Organics Belly Oil and Belly Butter. I love these products. They have an aromatherapy smell that is very soothing and I believe even helps me fall asleep faster. My fiance has commented before that I smell like a medicine cabinet after I put it on so if I want to remain scentless (or just depending on my mood) I use the organic shea butter pictured below instead. Zoe’s Organics also has baby products like diaper cream and a breath balm that people rave about on Instagram so I plan to have some of those in stock before the baby gets here. They recently started selling them at Target too. 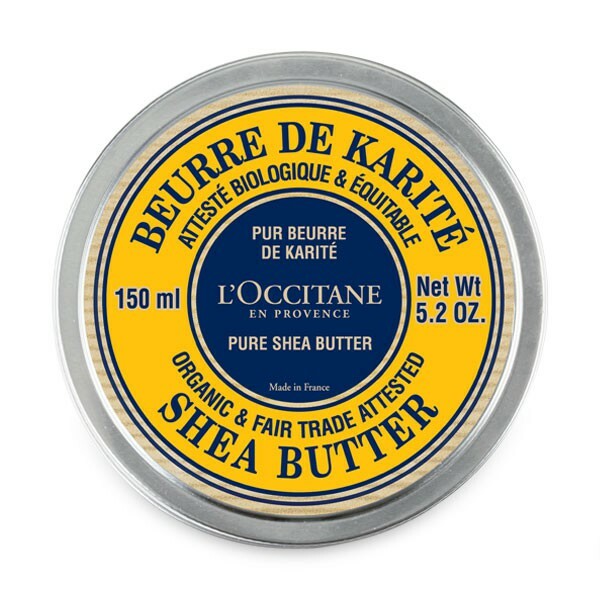 L’Occitane Organic Shea Butter: Love how rich and creamy this spread is…I mean cream…hehehehe. It’s the best unscented lotion I ever used. Is it only me but doesn’t every single unscented product seem to have an odd smell to it? Anyways. My favorite time to use this is before bed. Depending on what I’m wearing I can apply it after a shower. For example, if I’m wearing a loose shirt and stretch pants or shorts that go under my belly I can use this cream but if I’m wearing my full panel maternity jeans the material feels odd over my shea buttered belly. 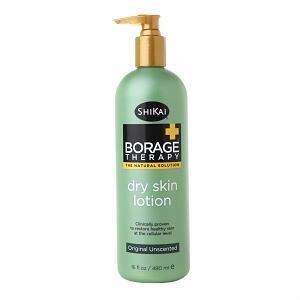 Shikai Borage Therapy Dry Skin lotion: I usually use ShiKai coconut body lotion but last winter between the very cold temps and my dry pregnancy skin the regular lotion wasn’t working for me. Flaky is gross! 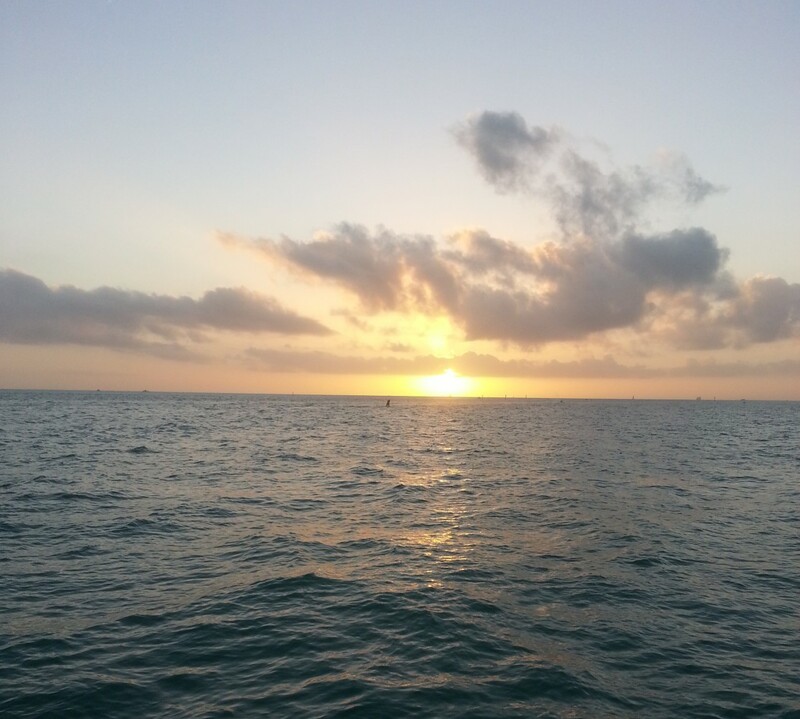 I switched to this unscented skin therapy lotion…well, I switched until the bottle was empty and the weather warmed up and then went back to coconut! What do you use for your skin care routine?